Freedom Hills -- 14.7 miles of horseback riding trails. The four different trails go through the southeast side of the Freedom Hills WMA. Parking is located at 5422 Mount Mills Road, Cherokee AL. Horseback riding trails are not available during hunting season. Old Cahawba -- Approximately 11.6 miles of trail riding through a mixture of Central Alabama prairie and pine woods is available. Parking for the trails is located on Cahaba Road 1 mile west of the intersection with County Road 9. 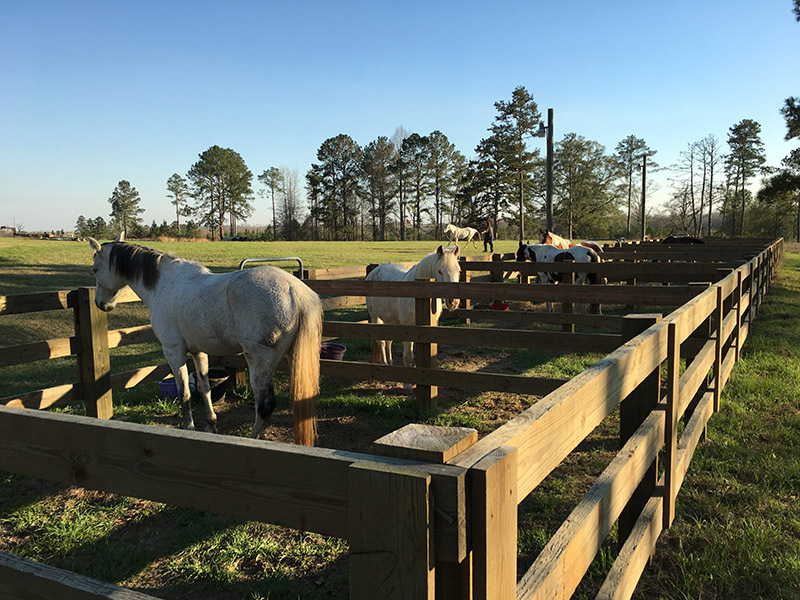 Shoal Creek Preserve -- A 2.1-mile horseback riding trail circles the property and gives riders access to a majority of the tract. Parking is located on County Road 61. Splinter Hill Bog -- A 4.3-mile-long multi-use trail for hiking, biking and horseback riding goes through much of the bog. bog. Observers can view several of Alabama’s pitcher plant species. The trail can be accessed from parking areas on County Road 47 and Splinter Hill Road. Tannehill -- Riding is available every day, but you may want to avoid the park's Trade Days, which are the third full weekends in March through October, and on Halloween. On those days, driving is limited due to the amount of visitors to the park. Riders must register at the Country Store and pay admission of $5 per person and $5 per horse. Wehle -- Three different routes total 10.6 miles of trails for horseback riding. The trails are open to horses on open weekends only. Stables, paddocks, and campsites are also available for overnight use on open weekends. No horses are allowed on main roads except at horse trail crossings. Horses are not allowed on the covered bridge. Stalls should be cleaned before departure. See camp host for cleaning instructions.